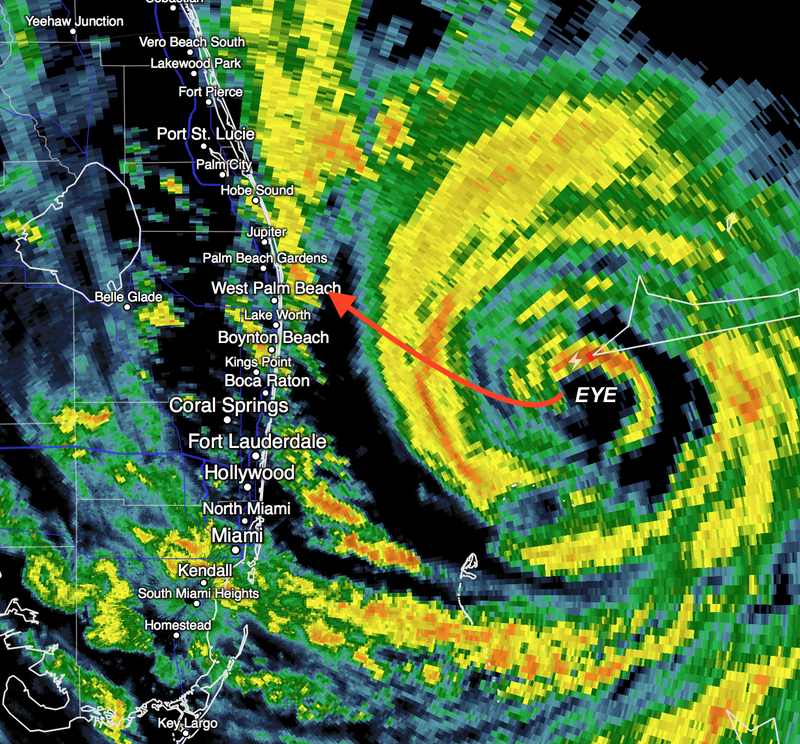 If the eye makes it all the way inland and then moves NW paralleling the coast, there will be catastrophic damage. Power will be out for more than a week in many areas. Travel will be extremely difficult because of trees and debris blocking roads. If you haven't already, evacuate if you live in a coastal county if directed to by local officials! Matthew is moving west at the present time. The westward movement is temporary as shown above. The storm has been strengthening during the afternoon and, when that occurs, storms will often take a temporary left turn. Given my current forecast, here is what the peak sustained winds for the storm will look like. Gusts could be another 15-20mph higher. 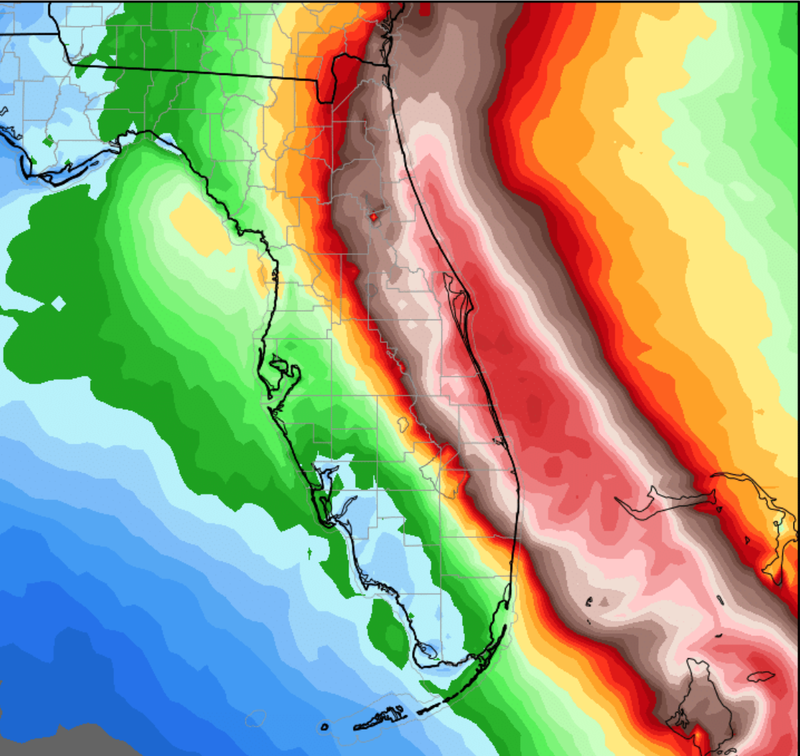 Right now, I'm not posting about the storm north of the Fla.-Georgia border. I'll do that tomorrow morning. 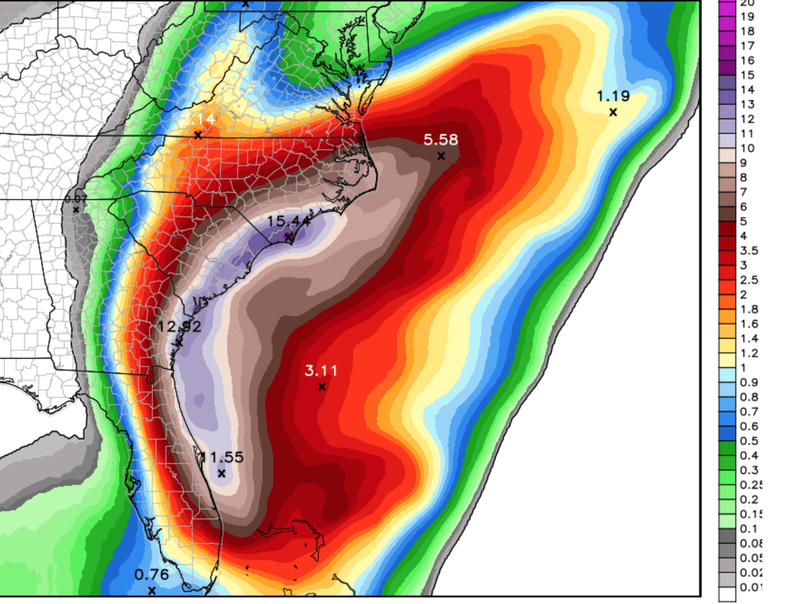 Finally, here is the NWS forecast of the storm total rainfall with Matthew. 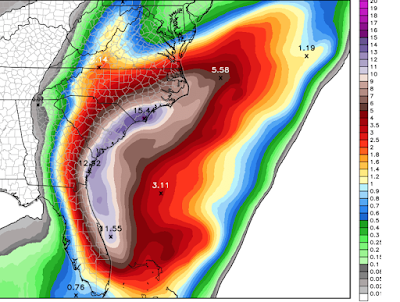 Flooding likely.